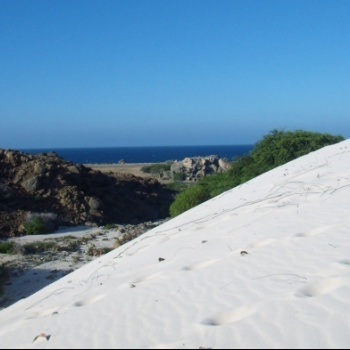 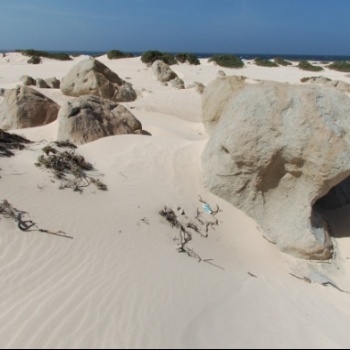 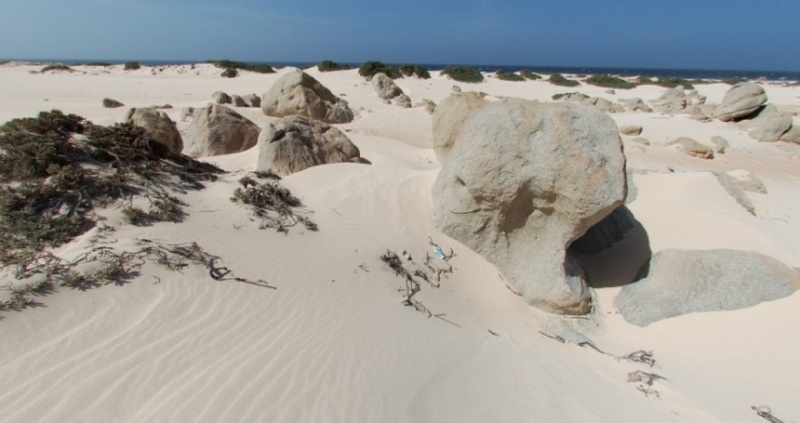 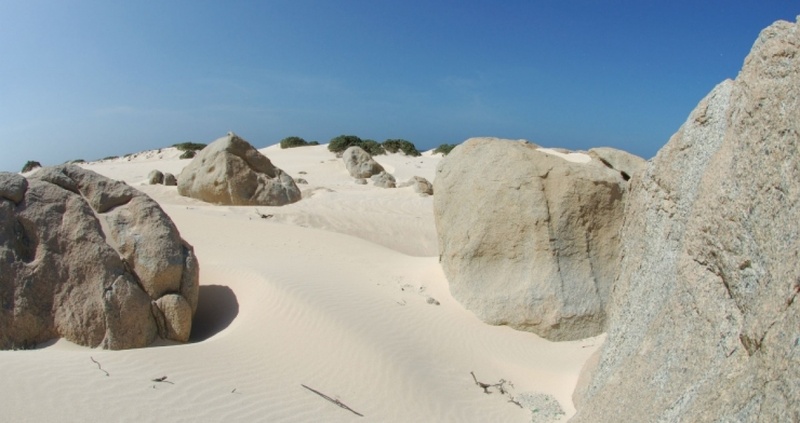 Aruba’s desert-like surroundings are represented by the sand dunes of California. 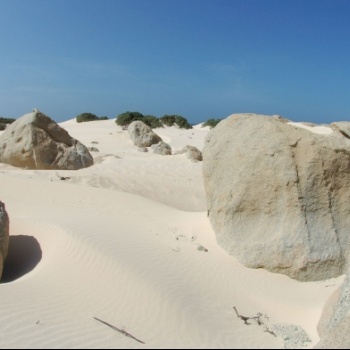 Aloe, cacti and amazing Divi Divi tree peacefully accompany the white dunes named after the wreck of the famous ship ”California”. 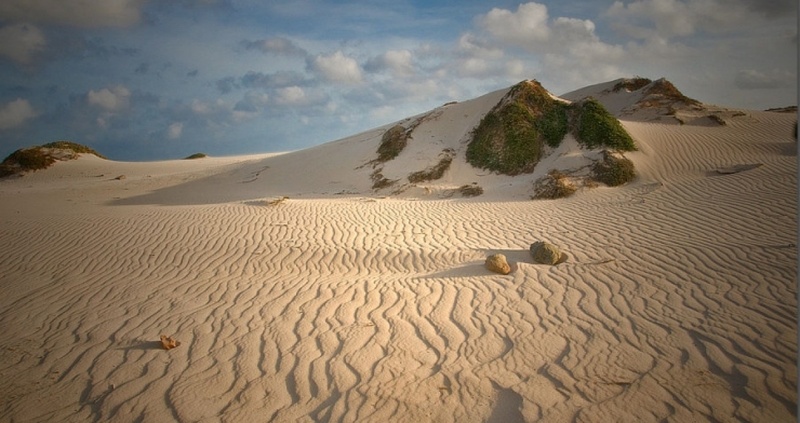 Sand dunes of California have the element of surprise when firstly seen by visitors. 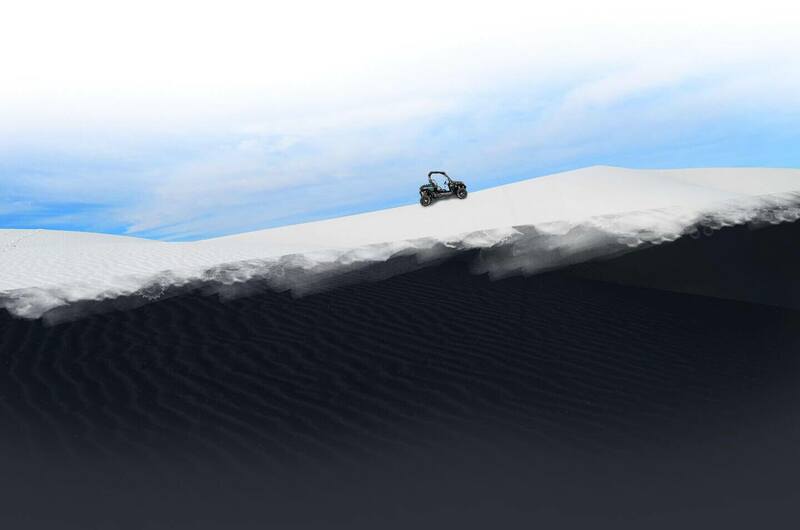 Although it is prohibited to explore the dunes on a vehicle, feel free to have a closer look at the dunes on foot. 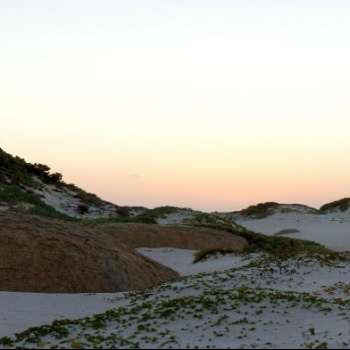 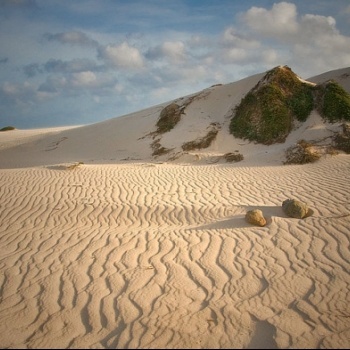 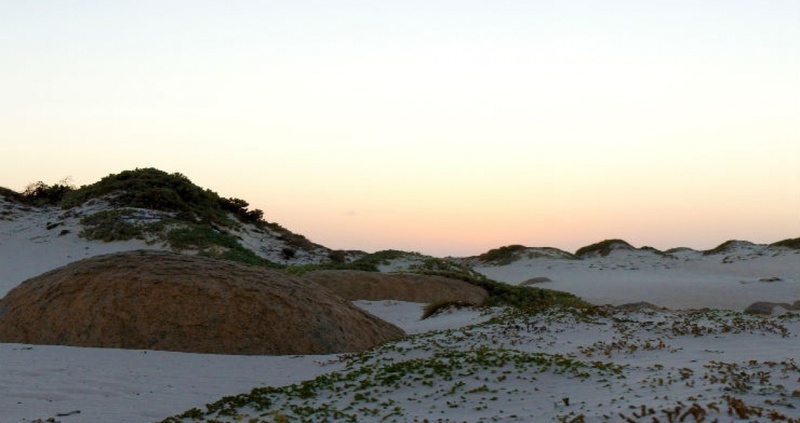 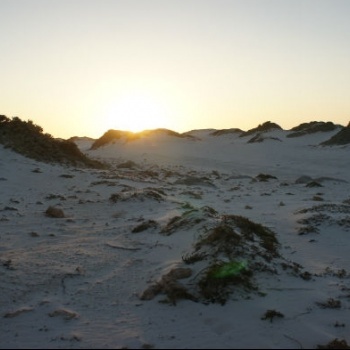 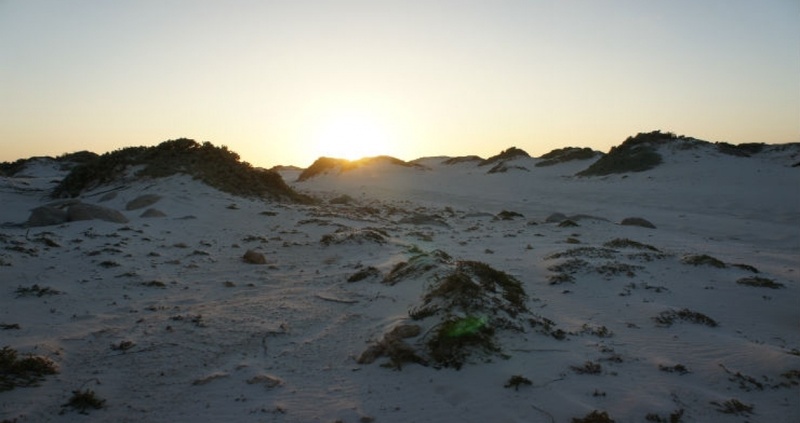 The vast amount of sand dunes covers most of the northwestern tip of the island. 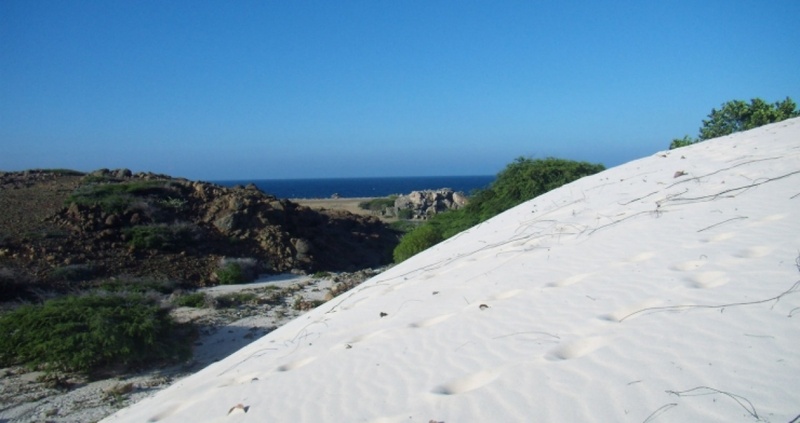 The Old Stone Lighthouse sits above this scenery and offers a wide view of this part of Aruba.